A couple of days ago I saw some pieces made by Alexander Calder and was amazed at how incredible wonderful his work is. 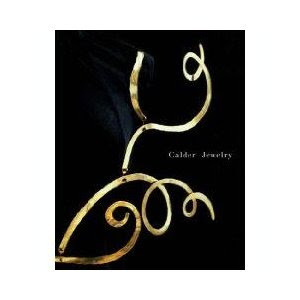 I went looking for books about him and his work, in special his jewelry pieces and I found an incredible book. Immediately I told my husband this book will be a great Christmas present !!! Finally today I got the book. I can tell you it is a beautiful and inspiring book. His work is breathtaking and has so much soul in it. I could not avoid to get inspired and as soon as I finish looking at this amazing book, I ran to my studio and made my ring for today. Thank you Jorge !!!!! I LOVE THE BOOK !!!!!! You are welcome and very well deserved after a full year of hard work and dedication. We are very proud of you. I love that book. He was such a creative person. I found it interesting that he mainly gave away all his jewelry. His money was made from his mobiles. Jewelry was just a sideline. I think his jewelry is really amazing! So is yours. Glad you got the book! I love the ring you were inspired to make! This is such a wonderful book! I've been wanting to buy it too. Hope it will continue to inspire you, love that ring that you made!